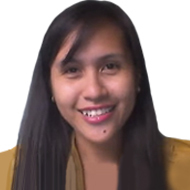 I am Teacher Anne, 33 years of age living in the Philippines. I graduated with a Bachelor of Secondary Education major in Mathematics last 2006 and I got a degree in Master of Arts in Teaching last 2016. I have been teaching high school students for almost 10 years now. From 2010-2016, I was an online English tutor to Korean and Japanese students. I am a very flexible person so I can cater students from beginner, intermediate and advance levels age 10-60 years old. The five macro skills in English are reading, writing, listening, speaking and grammar which is the fifth skill in language teaching and learning. In learning English online, I only focus on the three skills: listening, speaking and grammar. However, learning English is not an overnight success. It is possible with the determination and perseverance of the student with the help of a teacher. I can help you build your confidence in speaking English with our daily conversation. You would enjoy and make worthwhile time studying with me. I would like to welcome you all in my class. I hope to see you soon. Bye!